I am SO EXCITED about these products that I almost don’t know where to begin. I’ve been using supplements for 20 years, and the Kyani Triangle of Health is by far the best nutritional system I’ve ever tried. In this article, I’m going to explain why I love Kyani for opiate tapering, opiate detox, opiate recovery, to increase sexual function, and to act as a very strong natural painkiller. I’ll cover the science behind the supplements, and I’ll teach you how to use Kyani on a daily basis to supercharge your health. Whether you’re currently taking opioids or recently off drugs, you’ll absolutely want to experience the powerful and undeniable benefits of Kyani after reading the valuable information I’m about to share with you. The Triangle of Health is made by a nutraceutical company called Kyani that has been around for almost 10 years. What I find extremely interesting is the story behind the company. One day many years ago, a multi-millionaire couple went on a vacation to Alaska. They are the owners of popular cinnamon roll bakery, which are in many malls across America. On their vacation, they ran into a doctor who was studying the Eskimo people. The doctor was a physiologist who graduated from the University of Miami, and she was studying the Eskimos due to their incredible health. She had been in Alaska studying the Eskimos for 10 years, and was fascinated because there isn’t a vocabulary word in the nine major dialects of the Eskimos for heart disease, high blood pressure, diabetes, arthritis, cancer, or any of those things, because they don’t suffer from those health issues in their old age. It turns out a large reason they are so healthy is because of their diets, which are high in the Wild Alaskan Blueberry, and the Wild Alaskan Sockeye Salmon (I’ll discuss these in detail later). After learning about this, the millionaire couple returned home to Idaho Falls and shared this information with their billionaire neighbors. You see, even with all their money, the couple didn’t have the ability to convert these highly nutritious foods the Eskimos were eating into nutritional products. So they reached out to their neighbors because they knew if anyone could do it, they could. When their billionaire neighbors learned there were foods that could significantly improve the health of the entire world, they became very excited. These billionaire families didn’t start the company because they needed any more money, and they certainly didn’t need a new business project. They were already extremely busy running their businesses. They started the company because they saw an opportunity to make a big impact on the health of millions of people’s lives. After careful and detailed research and development, the Triangle became available to the public. The premise is that the combination of three products, Kyani Sunrise, Kyani Sunset, and Kyani Nitro, supply the body with everything it needs on a daily basis. When you supply the body with the nutrients it needs, the body can become the healing miracle that it’s intended to be. There is no other nutraceutical company that has a Triangle model for supplementation. With the Kyani Triangle of Health, each of the three products is powerful by themselves. However, when you take all of them together on a daily basis, it creates synergy. This means the efficacy of taking all three products is more powerful than the sum of their parts. In basic mathematical terms, 1 + 1 + 1 = 3. With the synergy of the Triangle, 1 + 1 + 1 = >3. The Kyani Sunrise is a powerful antioxidant/superfood blend drink which focuses on the Wild Alaskan Blueberry (known as the “King of Fruits”). Blueberries are well-known to be a powerful antioxidant, but the wild blueberries that grow in Alaska are 5 to 10 times or higher potency in their antioxidant abilities than the domestic blueberry. For thousands of years, the wild blueberries have evolved in the harsh climates of Alaska, enduring extreme hot and cold temperatures, wind, and insects. Researchers believe it’s this harsh climate that has lead to the high-nutritional value of these blueberries. The medical unit of measure that measures the potency of an antioxidant is called the ORAC Value. It stands for Oxygen Radical Absorbance Capacity. I’ve done a lot of research on juices on the market that are in the same supplement category as Kyani Sunrise, and many have good antioxidant abilities, with 1,000 to 5,000 ORAC Units in their drinks. But when I looked at Sunrise I found out there are 119,000 ORAC Units. That’s nearly 40 times stronger than the average of the other juices I looked at. So at this point, I’m sure you’ve heard of antioxidants, but perhaps you don’t know exactly what they do or why we need them. Take smoking for example. Smoking is just bombarding your body with free radicals. Free radicals destroy chemicals, they destroy cells, they rob electrons from cells, and the net result is they destroy the different chemical structures in our body, and lead to disease and problems. Antioxidants combat the effects of these free radicals. So to sum things up, whether it’s a sore throat and you have swollen glands, or you have back surgery or twist your ankle and there is swelling, all of those types of things have inflammation. But even on a more basic foundational issue, heart disease, stroke, Parkinson’s Disease, all your emotional and psychological issues, etc., are all related to free radical damage and inflammation. When doctors prescribe a medicine, if it’s a pill they feel lucky if the patient absorbs 20-30% of the medicine. The rest of it passes through you. 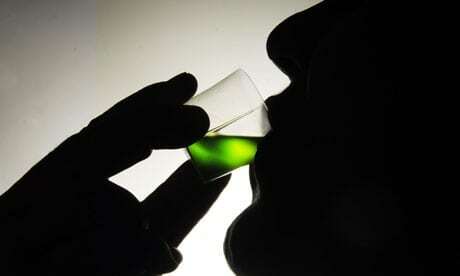 If it’s a liquid, doctors feel pretty good if the patient absorbs 50-55% of the medication. And doses are adjusted for that. So they will give you more than you need knowing that you will absorb the right amount, and the rest of the medicine will be wasted. While the Kyani Sunrise contains all of the water-soluble nutrients your body needs, the Kyani Sunset was designed to contain only lipid-soluble nutrients. Taking these supplements separately maximizes the bioavailability of the nutrients. There are many fish oil/vitamin E combination supplements on the market. I’ve researched many of them, and Kyani Sunset crushes the competition in my opinion. There are two main reasons for this. There are six different types of vitamin E, meaning six different chemical structures that we call vitamin E.
They all have different names and different properties. One of those is called tocotrienols. Tocotrienol is a type of vitamin E that is the powerhouse or the mega-vitamin E.
Of the six different types, tocotrienols are 40 times stronger than the next subtype of vitamin E.
Want to do a fun experiment? Do a search for the word “tocotrienols” on PubMed.com or WebMD.com and see what comes up. The research is incredible and vast. The second reason I love Kyani Sunset is due to it containing a superior form of omega 3’s. Not all types of omega 3’s are created equal. There are a lot of different types or subtypes of omega 3’s. The omega 3’s that are in the Wild Alaskan Sockeye Salmon are much stronger than the other omega 3’s that are available on the market. Furthermore, this oil is cold-pressed, which means it preserves 100%% of the nutrients. Most fish oil supplements are heat-pressed which makes them lose 90% of the nutrients. Companies use heat-pressing as a way to save time and money, sacrificing quality over convenience and profit. I’m not the only one that believes Sunset is the best product of its type. Kyani Sunset won the “Grand Gold” Award from the 2015 Monde Selection, the highest possible award given by the organization. The Monde Selection is an organization that analyzes wine, food, diet, health and other consumer products for quality, evaluating over three thousand products each year. Tested by an independent jury, products that pass their rigorous inspection are awarded, bronze, silver, gold, or grand gold, with grand gold only presented to the highest quality products. The Kyani Nitro family are by far my favorite supplements. The Kyani Sunrise and Kyani Sunset are amazing, but I feel like the Kyani Nitro FX and Nitro Xtreme have the most impact on my physical, mental, and emotional health. Kyani Nitro Fx is a proprietary blend of noni concentrate. Noni is a small evergreen tree in the Pacific Islands, Southeast Asia, Australia, and India that often grows among lava flows. Noni concentrate increases the body’s natural production of nitric oxide (NO). Also known as “The Molecule of Life,” nitric oxide repairs, defends, and maintains every cell of the body. Still virtually unknown to the general public, the benefits of nitric oxide have been extensively studied and discussed by researchers and physicians. In fact, three scientists won the Nobel Prize in 1998 for their research on nitric oxide. Kyani Nitro Xtreme contains even more nitrate than the Nitro FX formulation, as well as CoQ10, magnesium, zinc, chromium, and niacin, which all increase nitric oxide as well. Nitro Xtreme is more powerful and thus increases natural production of nitric oxide to a greater degree than Nitro FX. I’ve researched and tested a ton of supplements over the years, and I’m simply blown away by the science and effects of nitric oxide. Blood Circulation – One of Nitric Oxide’s most important qualities is the ability to dilate the blood vessels, thus maintaining healthy circulation and heart health. Inflammation – Nitric Oxide is a “signaling molecule” that supports healthy inflammatory response. Brain Function – Nitric Oxide is an essential chemical messenger, supporting the body’s natural ability to store and retrieve information in the brain. Digestion – Nitric Oxide supports motility and microcirculation, promoting blood flow and nutrient delivery throughout the body. Sexual Function – Nitric Oxide has been shown to maintain healthy blood flow, which is essential to sexual libido, performance, and satisfaction. The molecular mechanism of action of peripheral morphine analgesia: stimulation of the cGMP system via nitric oxide release. Aspirin induces nitric oxide release from vascular endothelium: a novel mechanism of action. Dr. Burke then goes on to cite numerous studies discussing the major role of nitric oxide in decreasing pain with fibromyalgia, arthritis, and other types of pain. In the presentation, he is recommending the use of Kyani Nitro Xtreme to increase the body’s natural production of nitric oxide. Within less than a week of taking the Kyani Triangle of Health, I was more energized, happy, and balanced than I’ve felt since I was in my early 20’s. I was sleeping great, my dry skin condition went away, my blood sugar became balanced, and I no longer craved sweets. The best part was the energy and mental health. No more fatigue, aches, pains, stiffness, or anything! Finally the energy I’ve been missing for the past decade! I’m guessing that was due to increasing my natural production of nitric oxide. The opposite of addiction is health in body, mind, and spirit, and the Kyani Triangle of Health is the absolute best system I’ve found to improve health, which is backed by science. If I were on opioids such as heroin, oxycodone, hydrocodone, morphine, Suboxone, Subutex, methadone, tramadol, etc., I would start taking Kyani as soon as possible, and I would continue to take it while tapering off opioids, and for at least 9-12 months after coming off opioids. It’s meant to be taken every day for life, and I intend to do so, as I really feel better than ever before on these products. The only way to purchase the Kyani products is from an Independent Distributor. Luckily, my dad John Finch, a world-renowned Herbalist, is a Kyani Distributor. He owns and operates the Self-Heal School of Herbal Studies and Healing in San Diego, California, where he has trained over 10,000 people in Herbal Medicine and Natural Health and Wellness over the past 35 years. He knows way more than I do about health and supplements (and I know a lot!). We both agree that the Kyani Triangle of Health is EXTREMELY IMPORTANT to take while getting off opioids. Click Here To Purchase these Products from JohnFinch.Kyani.com. He will get a small commission if you purchase from this link, but this commission is paid by the company, not by you! With my Prime membership, I get the Nitro Xtreme Triangle of Health Pack (Packets) delivered to me each month, which contains Nitro Xtreme as well as Sunrise and Sunset. There are a few other options, including a 7-Day trial pack. You have the option to sign up for Prime Membership (as I did). It costs $39 for a 6-month membership to Prime. It’s like Amazon Prime but better, because Amazon Prime only gives you free shipping, and Prime gets you that plus wholesale pricing. You can also choose the “Autoship” option at checkout if you want to receive the products the same day every month. This is also what I did, since with Autoship, you only have to order it once and you can cancel at any time. There is a 30 day no questions asked money back guarantee with all of these products. You can use them for 30 days, and if you’re not completely satisfied, you can get a refund. If you’re anything like me, visual presentations really help you learn. If you have any questions about the products, please use the Contact page to send me a message.